Best friends Dave and Julia were determined to never be cliché high school kids. They even wrote their own Never List of everything they vowed they'd never, ever do in high school. Most of the rules have been easy to follow, like #5, never dye your hair a color of the rainbow, or #7, never hook up with a teacher. But Dave has a secret: he's broken rule #8, never pine silently after someone for the entirety of high school. It's either that or break rule #10, never date your best friend. So when Julia impetuously suggests they do every Never on the list, Dave is happy to play along. He even dyes his hair an unfortunate shade of green. 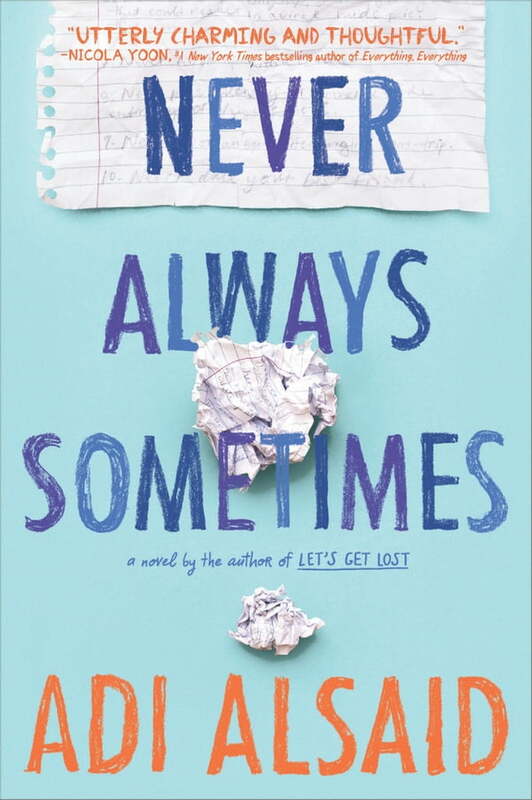 It starts as a joke, but then a funny thing happens: Dave and Julia discover that by skipping the clichés, they've actually been missing out on high school. And maybe even on love.